Boat slips are available to owners at The Cottages. 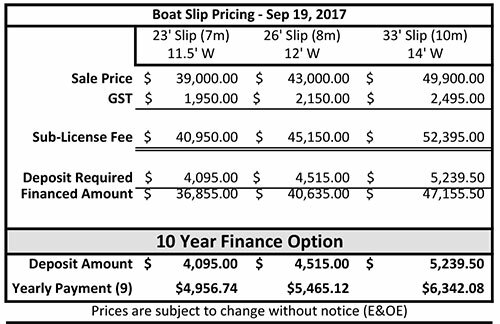 Boat slips are in high demand in the South Okanagan and properties that have them are attractive to people looking for a home in the area. Note: Although, under most circumstances, the purchase of a home at the Cottages is exempt from GST, the purchase of a boat slip will be subject to this tax. Contact Sales Manager for availability and further details.